The pink city- Jaipur is indeed a beautiful city. It is only fair that one should completely be able to admire the beauty of this city and in order to do that- you can go to just the place. You can see the panoramic view of the pink city as you stand atop the Swargasuli Tower. 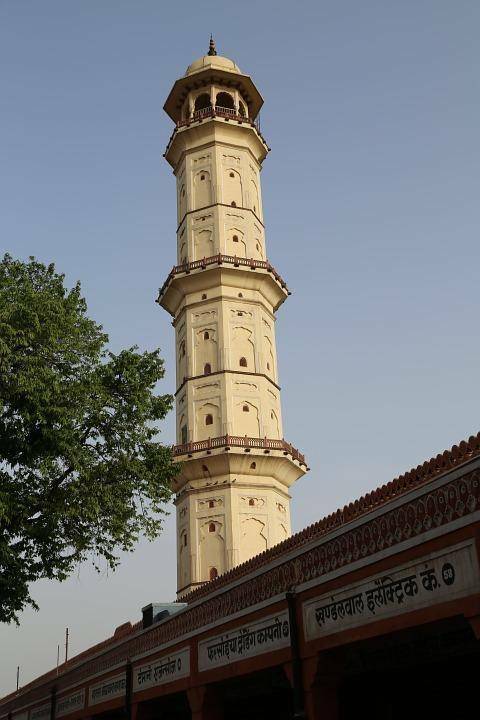 Swargasuli Tower, also known as tower to heaven, was built in 1749 A.D. by Sawai Ishwari Singh to commemorate victory over Mewar and Marathas armies. Standing tall at 140 feet, it is Jaipur’s tallest structure. This seven-floor tower is located in the old part of Jaipur. The Swargasuli Tower is worth admiring as it has a very traditional architecture and typical lattice work. You might think, why go to this destination just to see a tower- well, for the ladies out there, you can also visit the nearby popular street markets of Jaipur like Tripolia bazaar, Johri bazaar, Bapu bazaar and Kishanpol bazaar. Experience true Jaipur when you visit the tower to heaven.